This is a very simple lunch I made the other day — some to enjoy right away, and the rest to go in the freezer for a few easy meals later. I put 5 chicken quarters in my dutch oven with chicken bouillon, parsley, oregano and a bunch of freshly ground pepper. I covered and brought to a boil on the stovetop, then simmered for 2 hours. 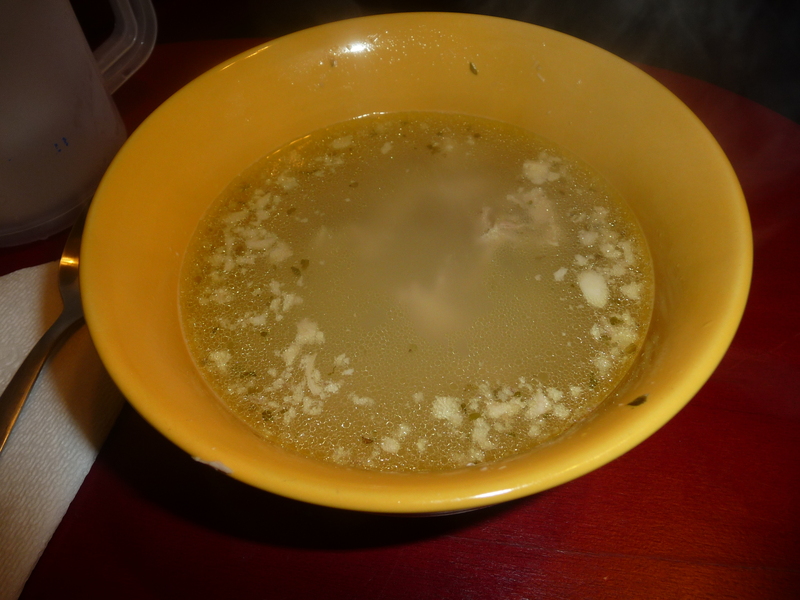 I removed the chicken and let it cook a bit before removing the skin and bones, then I rough chopped it and added back into the broth. Voila! A quick and tasty lunch!